STAR Magazine as low as $10 per year! You are here: Home / online shopping / STAR Magazine as low as $10 per year! If you enjoy getting the latest scoop on celebrity gossip, grab a subscription to STAR Magazine for as low as $10 per year from DiscountMags! A one year subscription retails for $78, so this is a HUGE discount! Make sure you enter the code 9588 at check-out to take advantage of this offer! OK! 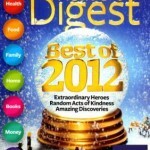 Magazine Subscription as low as $10 per year! 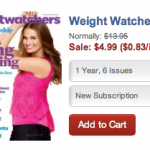 Weight Watchers and Rachael Ray Magazine Sale! 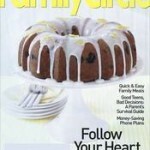 DEAL ALERT: Family Circle Magazine $8.99 for 3 years!